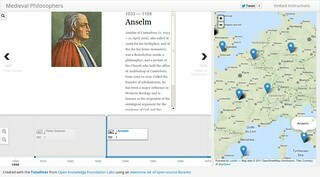 TimeMapper is an open-source project of Open Knowledge Foundation Labs. It is possible thanks to a set of awesome open-source components including TimelineJS, ReclineJS, Leaflet, Backbone and Bootstrap. You can find the full open-source source for TimeMapper on GitHub here.